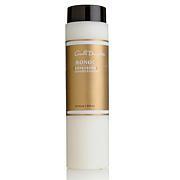 Carol's Daughter Coco Creme Intense Moisture Conditioner - 12 fl. oz. 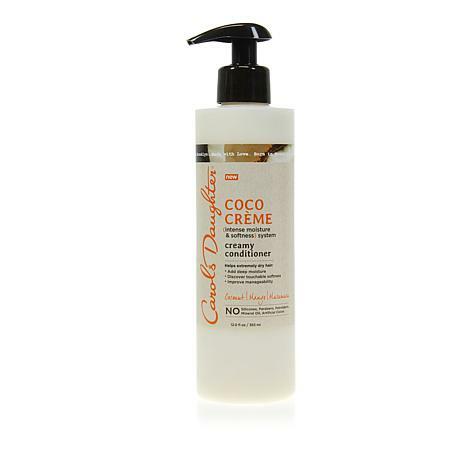 The moisturizing Coco Creme system helps extremely dry hair so it looks and feels hydrated, from roots to ends. 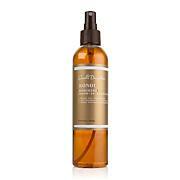 Ingredients: Aqua/Water/Eau, Cetearyl Alcohol, Cocos Nucifera (Coconut) Oil, Parfum (Fragrance), Behentrimonium Chloride, Sclerotium Gum, Caprylyl Glycol, Isopropyl Alcohol, Salicylic Acid, Glyceryl Stearate, Mangifera Indica (Mango) Seed Butter, Astrocaryum Murumuru Seed Butter, Glycerin, Potassium Hydroxide, Linalool, Benzyl Alcohol, Coumarin, Caramel, Cocos Nucifera (Coconut Milk) Fruit Extract, Xanthan Gum, Potassium Sorbate, Tocopherol (Vitamin E).